Is the leading poet of the so-called “Fergana School.” Abdullaev has been awarded the Andrei Bely Prize for his poetry, the annual prize of the journal “Znamia” for his prose writings, and the Russian Prize of the Boris Yeltsin Center. He was the last poetry editor of the old thick journal “Zvezda Vostoka,” based in Tashkent, Uzbekistan. 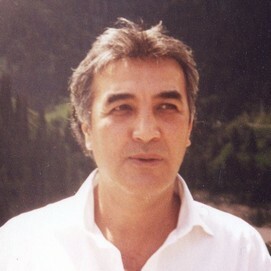 Abdullaev is the author of four poetry collections and two books of prose. Lives in Fergana, Uzbekistan.